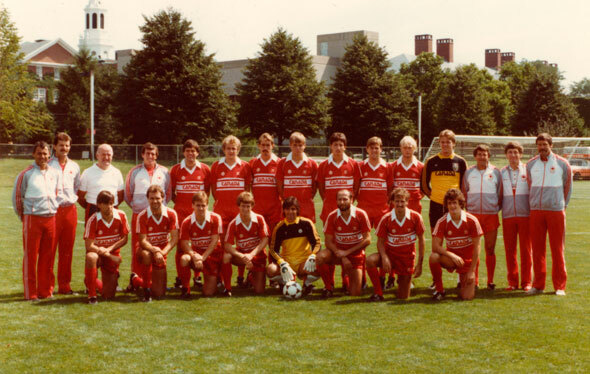 It was supposed to be the reward after 28 years of frustration; Canada's national team had qualified for their first World Cup in Mexico back in 1986, in doing so earning the right to play the likes of the Soviet Union, France, and Hungary. But there wasn't to be any luck for the plucky underdogs: Team Canada would fail to score a single goal at the tournament and within a year a match fixing scandal would tarnish the careers of several of its leading lights. It was a chilly late summer's day in 1985 in St. John's, Newfoundland, and the Honduran team Canada was due to face in the final of the CONCACAF Championship (that's the Confederation of North, Central American and Caribbean Association Football, FYI) had already suffered some bizarre bad luck. The team's uniforms and kit bags had been misplaced by a Florida airline and delivered to Montreal instead of Toronto. A consulate official was unable to retrieve the gear and so, the night before the game that would decide who went to the Mexico World Cup, the South American players were busily sewing crests onto plain white uniforms they had purchased that day. 7,500 people, including Newfoundland premier Brian Peckford and Canada justice minister John Crosbie, packed the tiny stands at King George V Park for the game, clutching plastic cups of beer. Canada took the lead after just 15 minutes, thanks to 33-year-old George Pakos, a water meter mechanic from Victoria, B.C. Honduras equalized just after half time, but it was Toronto striker Igor Vrablic who buried the goal, a header from a corner, that sent Canada to its first World Cup. The delirious crowd rushed the pitch at the final whistle, holding up signs that read "Good luck in Mexico, don't drink the water" and "Mexico in 86." "It was very much a team effort, and that involves character, commitment, and discipline," said English coach Tony Waiters. Things didn't go so well down south. Canada's first game against France, the reigning European champions, at the Estadio Nou Camp finished in a 1-0 defeat. The Canucks held on against the heavily favoured French for 79 minutes, but it was Jean-Pierre Papin who bundled the ball into the net, sealing the result. The same resolve wasn't on display against Hungary. The team conceded in the first two minutes and had substitute Mike Sweeney sent off en route to a 2-0 defeat. The score was the same against the Soviet Union, the team's last game, three days later. Canada finished bottom of their group without netting a single goal, but the darkest hour was still to come. Canada dutifully lost 2-0, but James was racked with guilt. He handed his share to the others and the incident was eventually revealed to the Canadian Soccer Association. All four of the original conspirators received a suspension. In his autobiography "Cracked Open," which details his later struggles with cocaine addiction, James called the affair "a huge mistake" and "a personal nightmare." "Being nervous at right fullback, I am not sure how I played even to this day," he wrote. "I genuinely just tried to compete as best I could, despite the fact that I still felt I was letting everyone down: my country, my real teammates, the coaching staff, and ironically even the four conspirators." The Canadian men's team has not returned to the World Cup since.